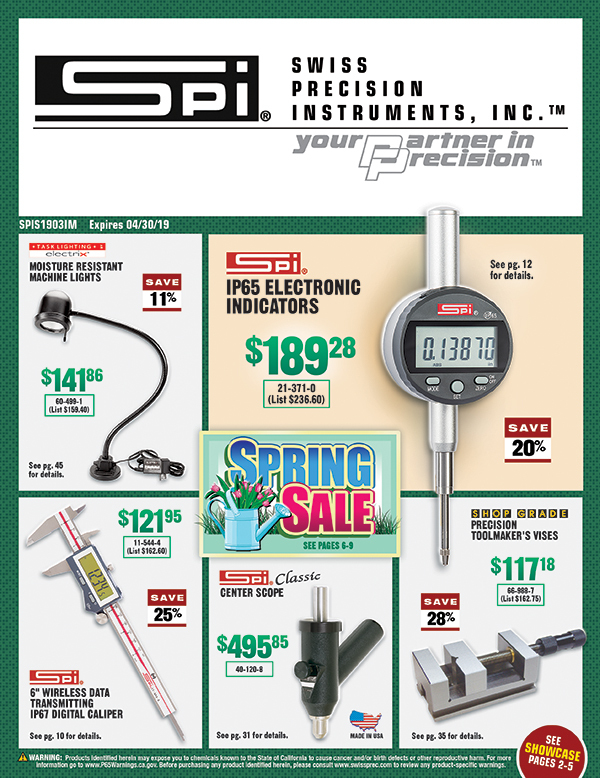 The New SPI Sale - 2019 Spring Sale! Indicators, micrometers, calipers and much more. This SPI SALE has 52 pages packed with great values. Machinists, Metrologists, Quality Engineers - there is something for eveyone in this catalog! We carry all SPI items. If you would like a quote or need help finding an SPI gage, call (888)978-9873 or email us. 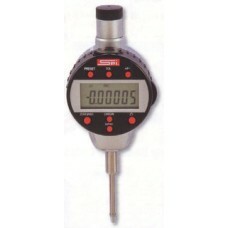 11-959-4 SPI Digital Height Gage 12"/300mm is on sale at Gaging.com. Measure Smarter! 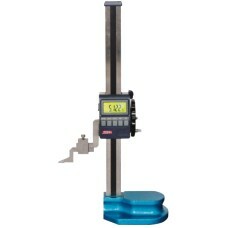 Absolute..
11-960-2 SPI Digital Height Gage 18"/450mm is on sale at Gaging.com. Measure Smarter! 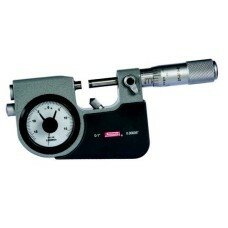 Absolute..
11-961-0 SPI Digital Height Gage 24"/600mm is on sale at Gaging.com. Measure Smarter! Absolute..
11-965-1 SPI Absolute Digital Indicator 0.5"/12.7mm is on sale at Gaging.com. Measure Smarter! ..
SPI Special! 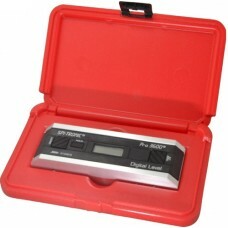 21-070-8 Retractable anvil with indicatorfor precise measurement. Carbide tippe..
31-038-3 SPI Pro 360 Digital Level is on sale at Gaging.com. Measure Smarter! 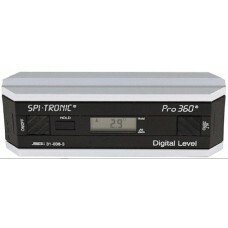 V-groove on the ..
31-040-9 SPI Pro 3600 Digital Level is on sale at Gaging.com. Measure Smarter! V-groove on the..